* Click 'Here ' to see supported language list of translation. 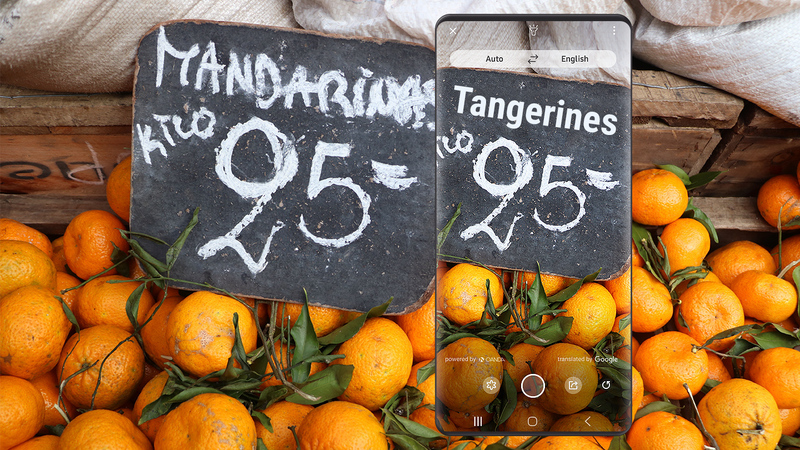 Bixby Vision’s built into your camera, so you can see more. 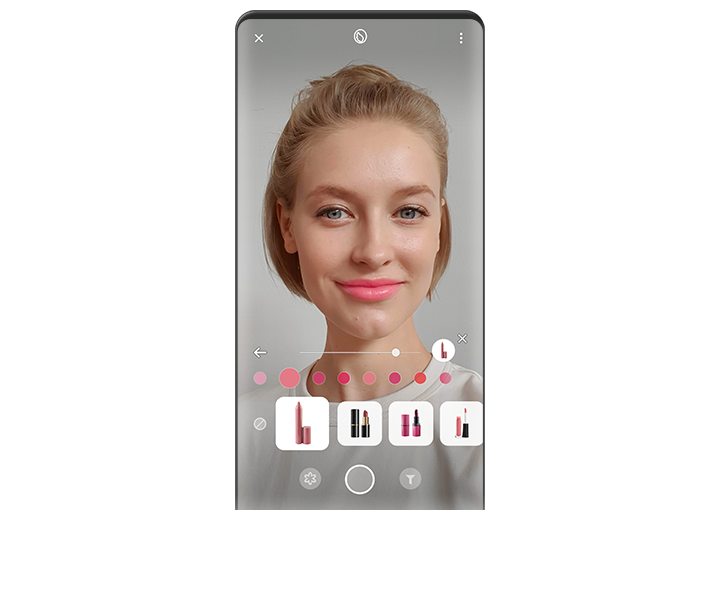 or try on makeup with AR. 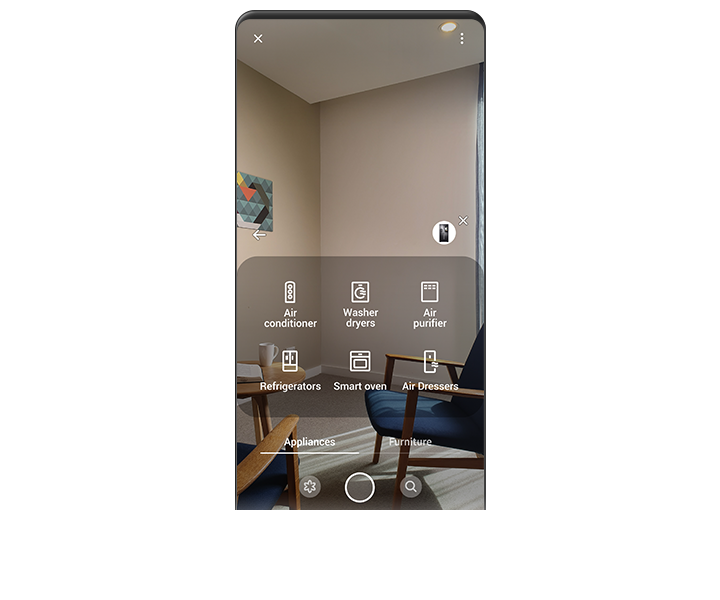 Scan and let Bixby Vision do the rest. Simply scan images, food, wine, and QR codes to get the information you need to know. 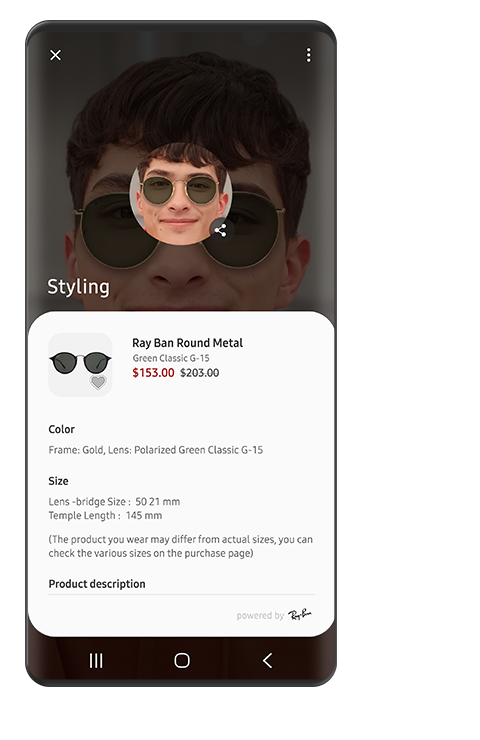 Shop what you see in person, online. * Wine search feature is provided in English(US) and Mandarin Chinese, other languages to be supported. * Food recognition feature only shows an estimate and may not be accurate. The actual amount of calorie intake may differ by food and health status of the user. Translate foreign languages so you can read a menu or transit sign, and travel with ease. Let your phone be your guide. Identify landmarks or businesses to learn more about them. 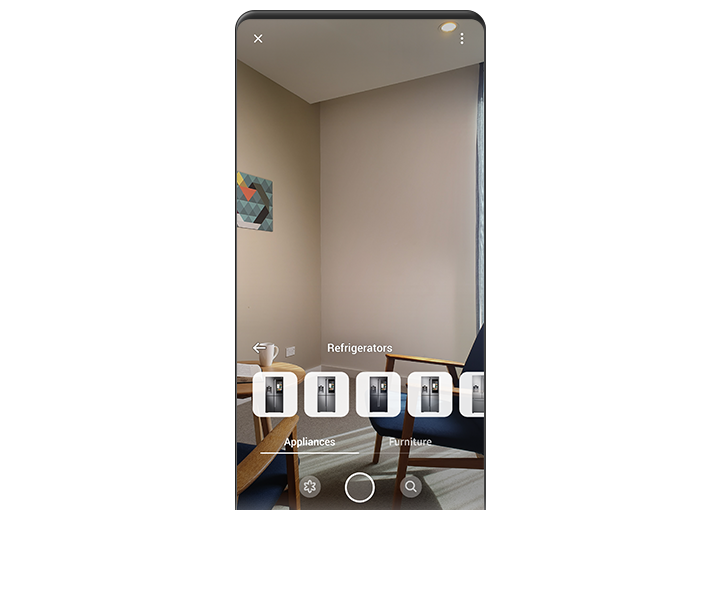 More fun & convenient life with AR experiences. Explore new possibilities with AR Experiences, where fun meets practicality. Find new looks for yourself and your home interior – all on your phone screen. * The actual product size, image and color may vary from the virtual try-on results. 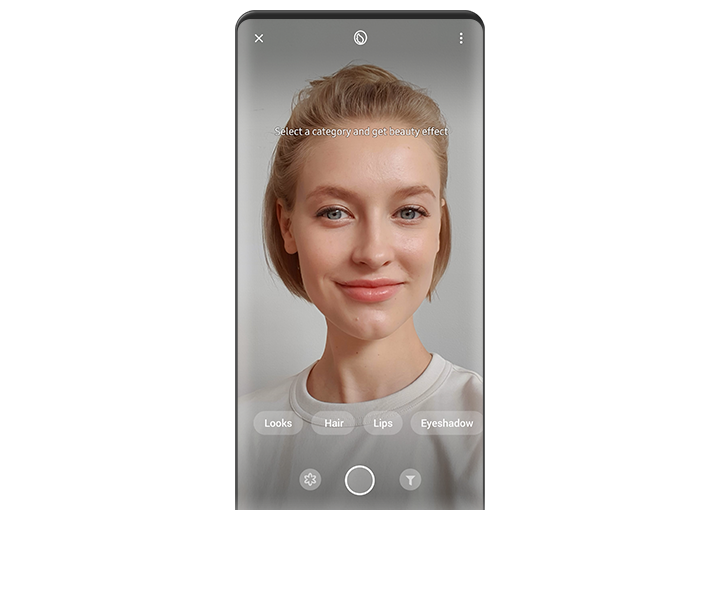 * Currently available with Galaxy S10/S10+/S10e. Try out a new look. Need a fresh new look? Try out fabulous looks with an array of makeup palettes and hairstyles. Wondering how you would look in those shades? 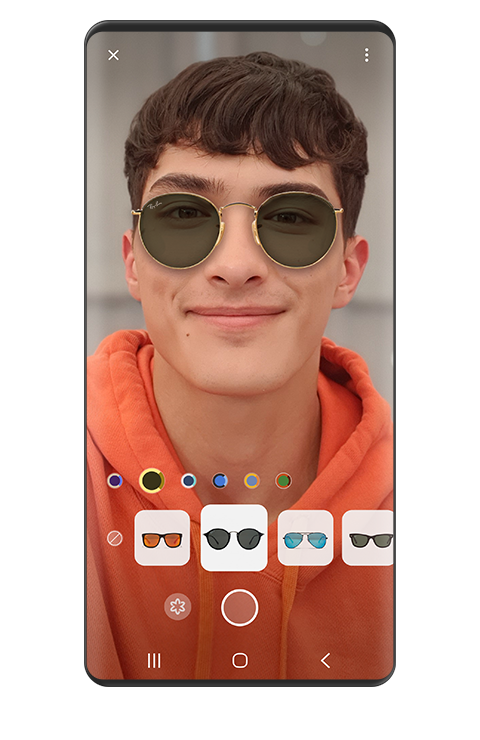 Find sunglasses for a variety of occasions with Bixby Vision. Shop for the perfect frames for your face. Need a fresh makeover? 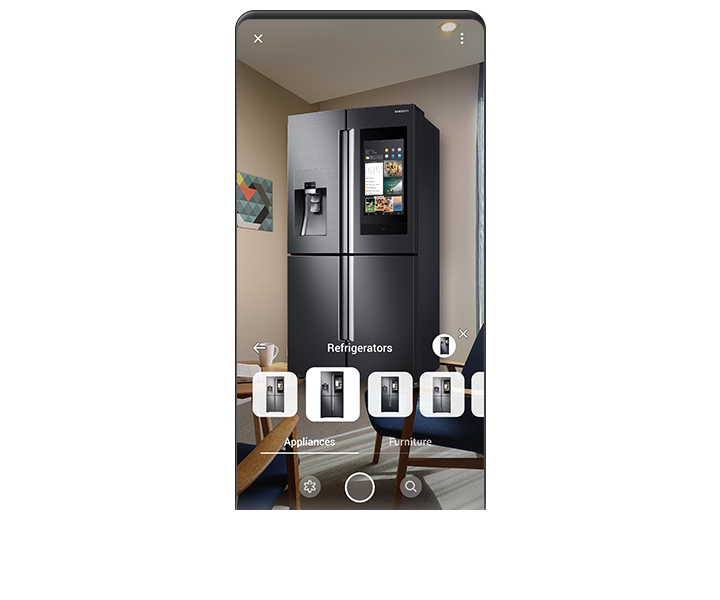 Bixby Vision will let you add virtual furniture and appliances to your home décor for the perfect look. See how your home looks with new furniture and home appliances before making purchases. Catch movie previews on the spot. 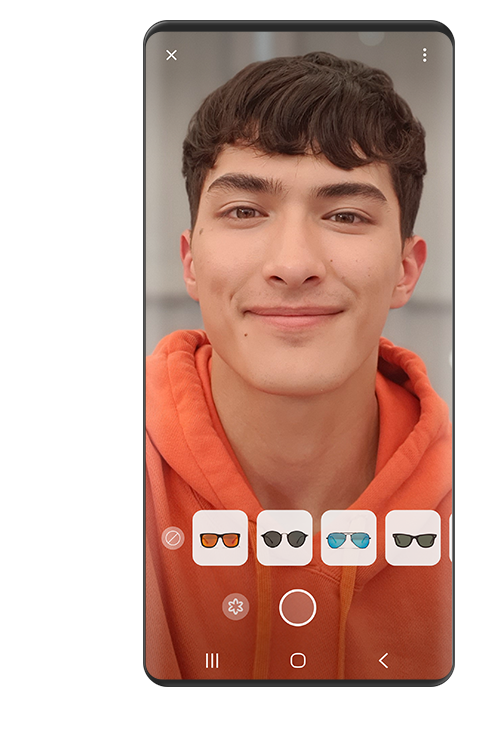 With Bixby Vision, your sneak peek opportunity is here. Scan movie posters to see them come alive. More movie information, right at your fingertips. * The accuracy and recognition level of this feature may be influenced by surrounding conditions and settings. 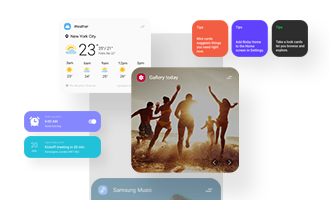 Expand your Bixby Vision experience with a range of useful tools and fun features. Install add-on services from our partner apps to make the most of Bixby Vision. Want to create memorable visuals? 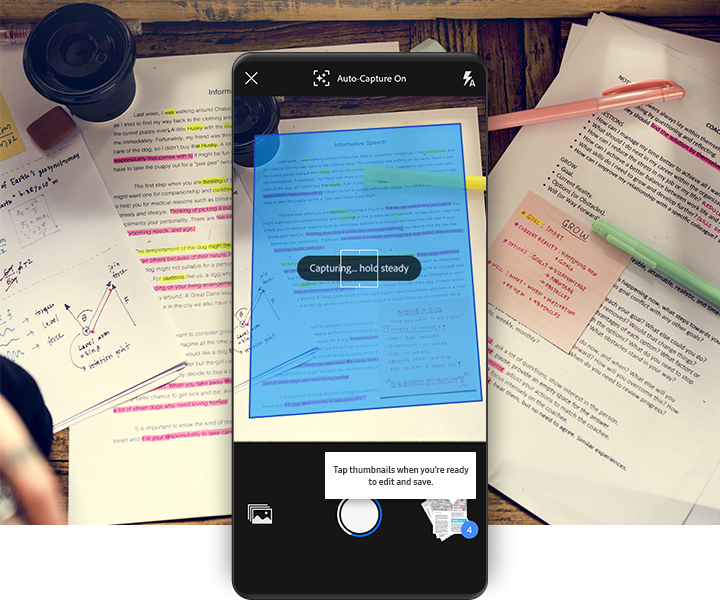 Liven up your photos with videos, stickers, notes, and more. Share the fun with friends! Stuck on a mathematical problem you can’t seem to solve? Want to double check your answer? Use your camera to see proofs and solutions at a moment’s notice. Transform images into smart PDF files directly on the spot. Simply aim the camera at the images or documents you wish to convert. Then, they will be scanned automatically. * Currently available with Galaxy S10/S10+/S10e/Note9/S9/S9+/Note8/S8/S8+/A9 Star/A8 2018/A8+ 2018/A7 2018/A5 2018/J7+/A6/A6+/C8/J7 Top/Tab S4/Tab A2 and W2018(China). 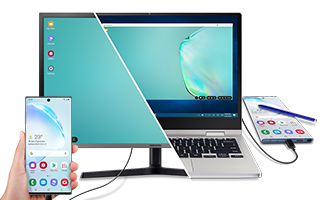 * Service availability and content provider may vary by country and device. * All information and contents herein are provided by third parties under its own responsibility, and may not reflect the most updated information.